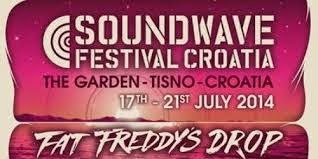 Soundwave Croatia is a great music festival spread over 3 days, at 3 fantastic venues and one crazy boat party welcoming all music lovers from around the world. The event’s location in Petrcane, a fishing village close to the city of Zader includes an outdoor Amphitheatre for live acts, a beachside terrace for day & night time dancing and a 600 capacity nightclub for party enthusiasts. At this beautiful location you can swim in the glistening Adriatic, dance on the beach under the stars, or join us aboard a great Boat Party.